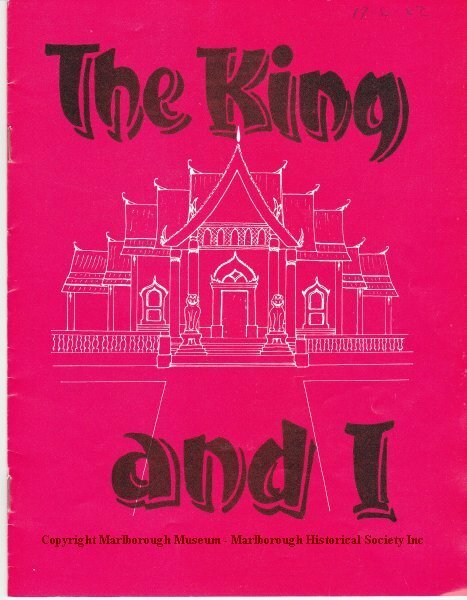 Blenheim Amateur Operatic Society Incorporated - The King and I - June 17-26,1982. Inside is a page from The Marlborough Express dated June 11, 1982. Attributed to the Gamble collection as after Hale (1990.007 nothing to indicate it belongs there) and Vercoe (1997.030 nothing to indicate it belongs there) the Gamble collection is the most likely for early programmes.